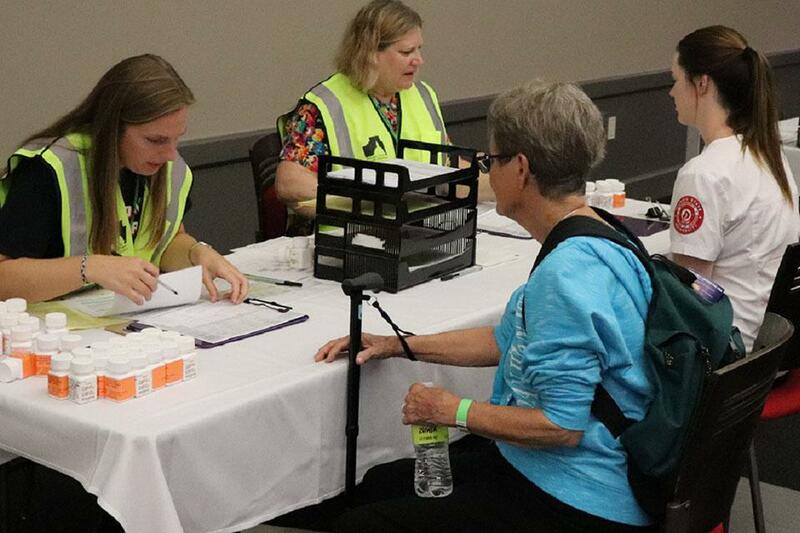 Gretchen Overright of Normal was one of the volunteer actors at a McLean County mass dispensing exercise at Redbird Arena on Friday. 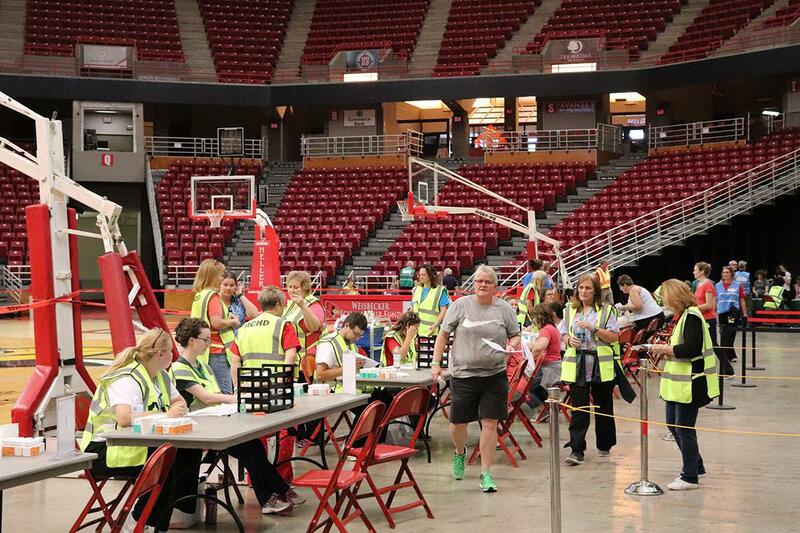 Dozens of volunteers posed as members of the public at a McLean County mass dispensing exercise at Redbird Arena on Friday. MacCartney Britton of Colchester was one of the volunteers actor at a McLean County mass dispensing exercise at Redbird Arena on Friday. 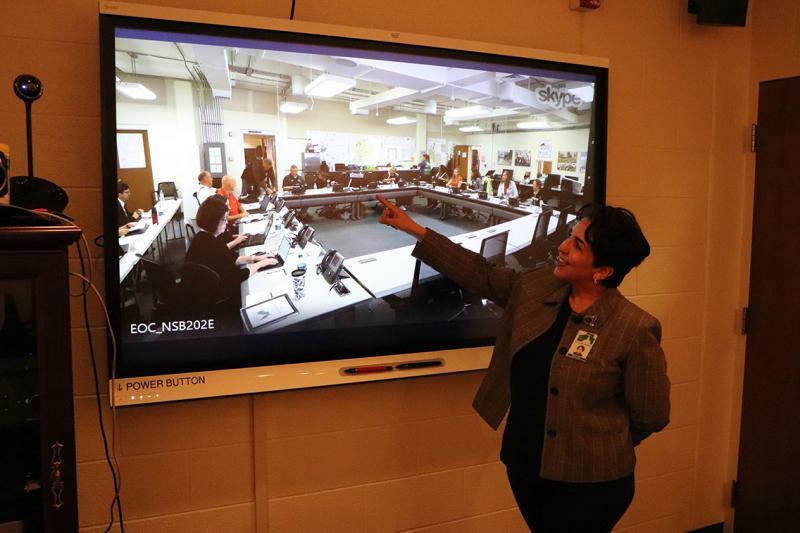 McLean County Health Department Director Camille Rodriguez points to a video of the Illinois State University Emergency Operations Center during a McLean County mass dispensing exercise at Redbird Arena on Friday. McLean County was hit with an anthrax scare in an emergency simulation that played out at Redbird Arena on Friday. In the exercise the McLean County Health Department presented with the county’s Emergency Management Agency, the Normal Fire Department, Illinois State University’s EMA and other universities departments, the department created a fictional scenario. 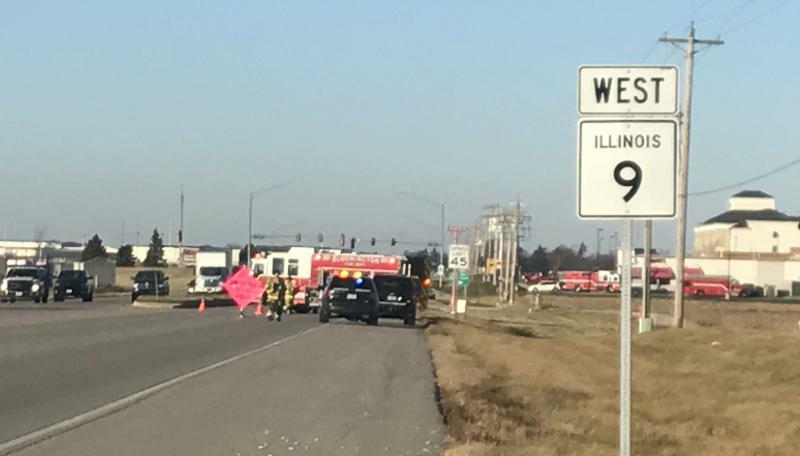 The county was notified by the governor, according to the mock drill, that it had 24 hours to respond to a suspected inhalation anthrax attack by dispensing emergency medications to the masses. The participating agencies staged the drill with the help of dozens of volunteers who acted as members of the public with various needs. 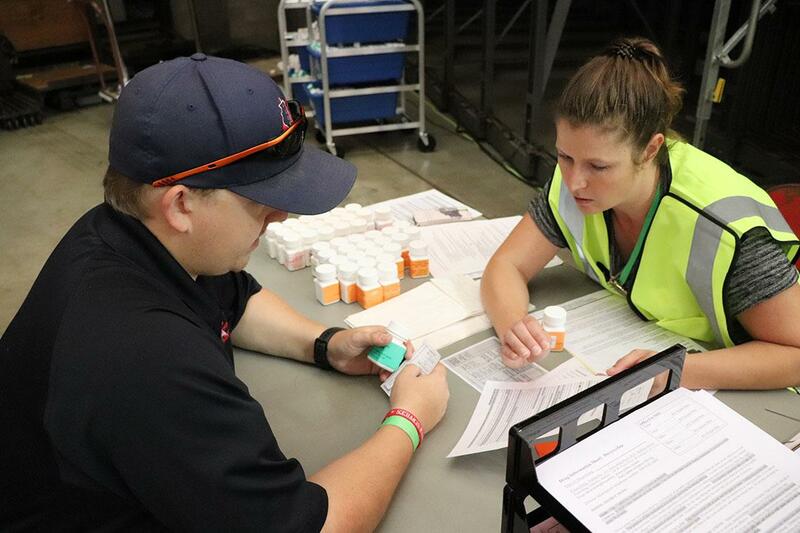 The goal is to see how health and emergency responders could handle a mass distribution of medications. MacCartney Britton of Colchester played a man who couldn't speak English. “Not only was it confusing for (the workers) but it was actually confusing for me (as the actor) because when they don’t know how to react it’s going to put a lot of stress on an actual victim,” Britton said. The goal of the event was to see what gaps need to be filled and what problems could health officials better anticipate. Ginny Riggins of Normal was among the volunteers posing as a member of the public. In one scenario she played a young mother who had to bring her two kids. Riggins suggests more staff would have helped. McLean County Health Department Director Camille Rodrigeuz agreed, but added the event showed how well the various agencies work together. Rodriguez said in a real emergency, they would need more staff and public transportation for those who couldn't get to the arena. 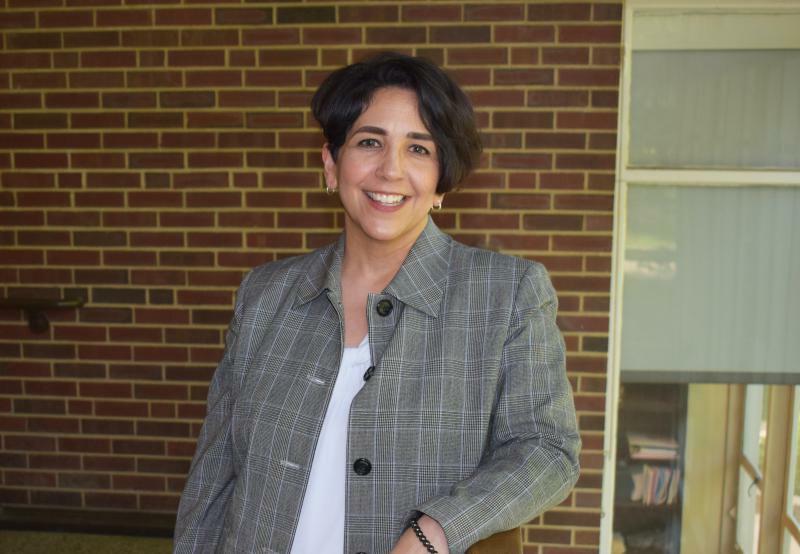 Six months into the job, the new director of the McLean County Health Department is staring at a lengthy to-do list. It’s filled with complex problems with no easy solutions—opioid abuse, obesity, and even dental health, to name a few. 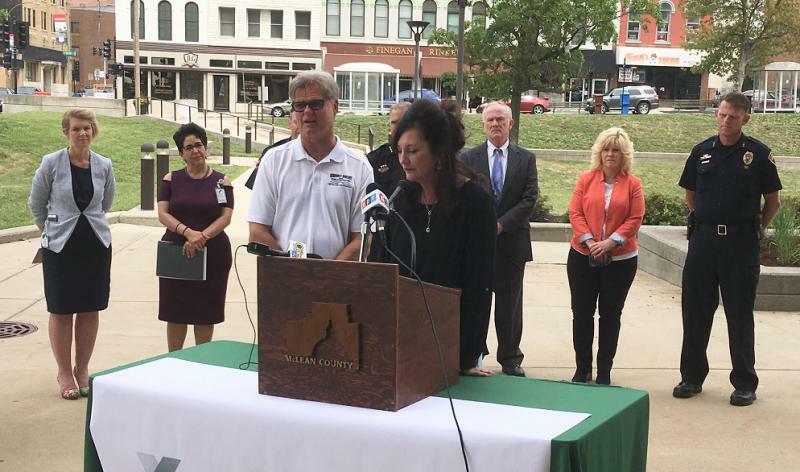 McLean County health officials and law enforcement marked International Overdose Awareness Day on Friday with the planting of 40 memorials outside the Law and Justice Center. 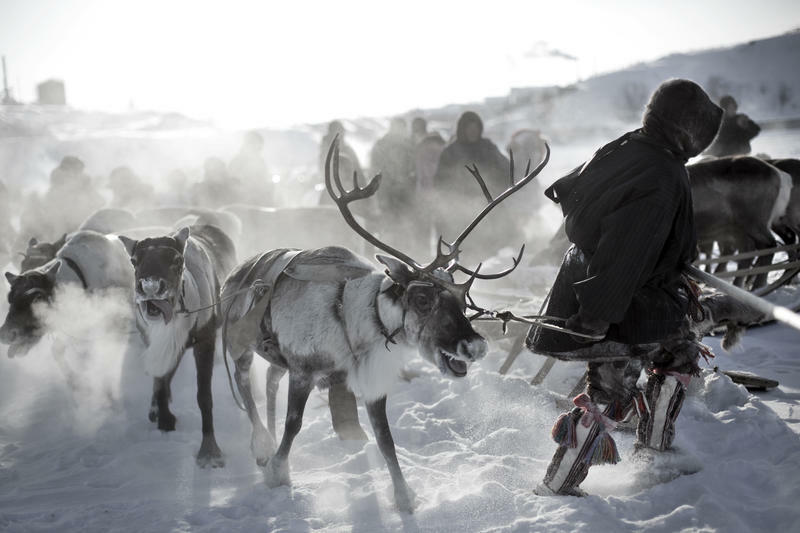 There's a heated debate in the Arctic Circle. It's about reindeer. Lots of them. Russian health officials want to cull a quarter million animals by Christmas, The Siberian Times reports. That's enough reindeer to fill about 400 Olympic-sized swimming pools.